Dental advancements in laser therapy, orthodontics, tooth restorations and teeth whitening reduce the time you spend in the dental chair and the amount of visits to your dental office. 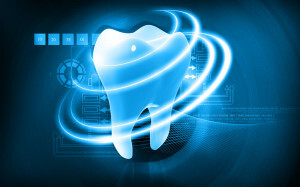 Today’s technology has moved even routine dental visits into the 21st Century. Digital x-rays have replaced traditional radiographs, virtually eliminating the processing time and reducing the amount of radiation by 70%. The advancements in dental technology have reduced the amount of visits patients need and provided results in an accelerated timeframe. CEREC technology now also allows patients the convenience of having a dental crown made in just one visit. “We want our patients to have the very best in dental technologies and treatments because they are like family to us. If our treatments can reduce discomfort or allow convenience for their busy lives, we want to be sure we are providing that for them,” said Monte B. Cooper DDS. Orthodontic treatment and teeth whitening have also benefited from advanced technology and materials as well. Call today for your evaluation and we will explain how we can use modern dental technology to make your visit to Central Texas Dental Care both pleasant and efficient.